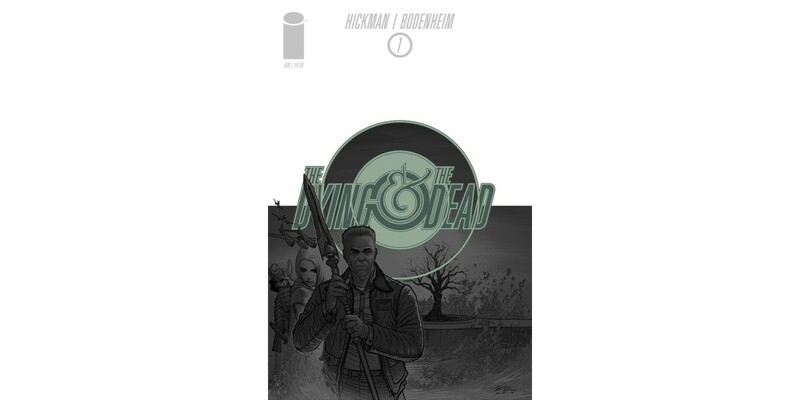 New York Times bestselling and award-winning writer Jonathan Hickman (EAST OF WEST, THE AVENGERS) and artist Ryan Bodenheim (SECRET, RED MASS FOR MARS) have captivated critics and fans alike with their all-new adventure mystery series in THE DYING AND THE DEAD. In order to keep up with customer demand, Image Comics is pleased to announce a second printing of issue #1. In THE DYING AND THE DEAD #1, a murder at a wedding sets of a series of reactions unraveling secrets hundreds of years old. At great cost, a man with a dying wife is given the opportunity to save her. A lost tribe is reborn in another time. Seemingly unconnected events that force relics from the Greatest Generation to come together for one last hurrah. THE DYING AND THE DEAD #1 remains available for purchase across all digital platforms, including the Image Comics website (imagecomics.com), the official Image Comics iOS app, Comixology’s website (comixology.com), iOS, Android, and Google Play. THE DYING AND THE DEAD is an over-sized, 60-page Indiana Jones-style epic adventure that comics readers won’t want to miss. THE DYING AND THE DEAD #1 (Diamond Code DEC148386), 2nd printing arrives in stores on March 4th. THE DYING AND THE DEAD #2 (Diamond Code DEC140729) will arrive in stores on March 4th as well.